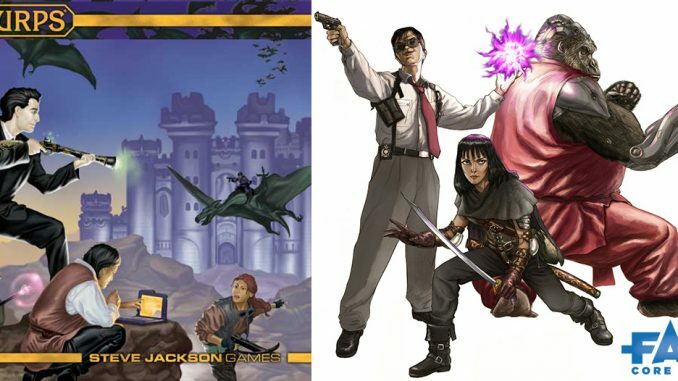 I recently posted about ways to run GURPS in the style of Fate and made mention of the GURPS PDF Power-Ups 5: Impulse Buys, saying “This would be the book for GMs looking for something like the Fate Points economy in a GURPS game.” A couple of folks have asked which options, specifically, I use from that book, and how they affect gameplay. My current game, the one this post discusses, is set in a modern day Los Angeles where the PCs strive to protect the city from all manner of Voodoo-inspired supernatural threats. They are larger-than-life heroes, with some minor magical ability, but not necessarily “superhuman” (though at this point, after almost two years of monthly games, they are 300-point characters). The following system has been in place for a bit over a year, with great success. Each PC begins a night of gaming with 3 “Story Points” (SP), represented by red glass beads. These are entirely separate from the Character Points (CP) used to advance the character, and are only occasionally given out in play — they are a finite resource and do not refresh except for between game sessions. We have altered the Luck advantage so that instead of allowing rerolls, it now gives +1 SP for 15 CP, +2 SP for 30 CP, and +3 SP for 60 CP (though, see Buying Success, below). Thus, a PC with the 60-point Ridiculous Luck advantage would begin the night with 6 SP instead of the usual 3. Buying Success (or Failure) (pp. 4-7): Changes a roll from critical failure to failure, failure to success, or success to critical success, or adjusts the margin of success. Exception: a Critical Hit cannot be purchased in combat. Can also be used to allow a single reroll for 2 SP instead of dictating the result. Defense vs. Effect (p. 6): Allows some damage mitigation/defense against attacks that normally would permit none. Player Guidance (p. 7): Lets players add elements to the current scene by spending from 1 to 3 SP. Survival (p. 10): Allows Characters to buy a Flesh Wound, reducing all damage from a single attack to 1 point of injury. Using Story Points like this gives the PCs a lot of extra flexibility in how they can affect (or be affected by) the narrative. 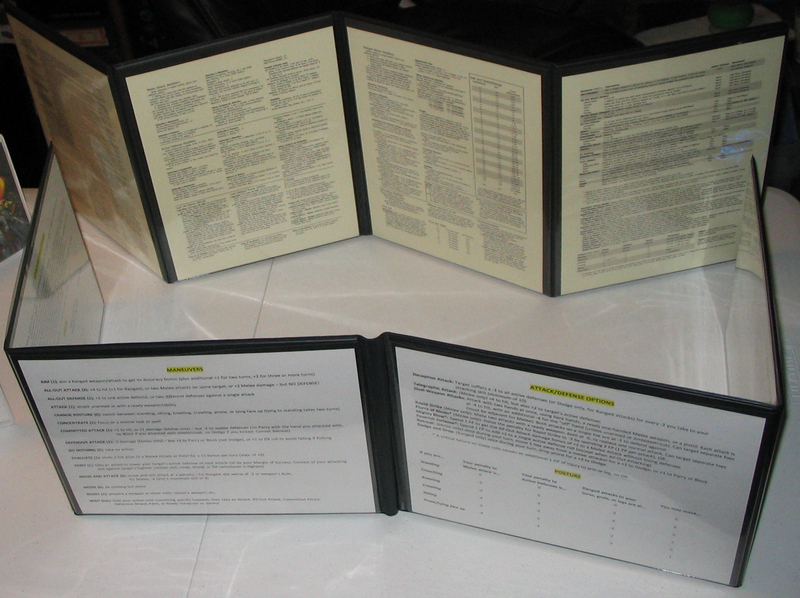 I believe they take comfort in knowing those points are there (“In case of emergency, break glass for Story Points”), and for me as the GM, I feel much freer to just go with my gut in terms of what to throw at the party because I know they have a lot of “plot immunity ” at their disposal if they need it. All of these options have been a part of GURPS 4th Edition since its release, so this isn’t really “changing GURPS to be more like Fate.” It’s more like (as always with GURPS!) choosing very specific rules options to create the kind of game we all want to play. Any other groups making use of these kinds of rules? Ideas on pulling the best parts of Fate into the GURPS rules. 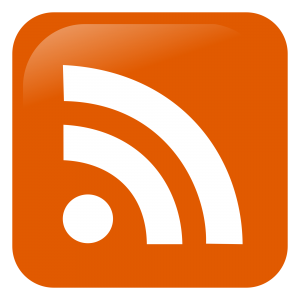 A Must-Have GURPS Android App! Thank you. 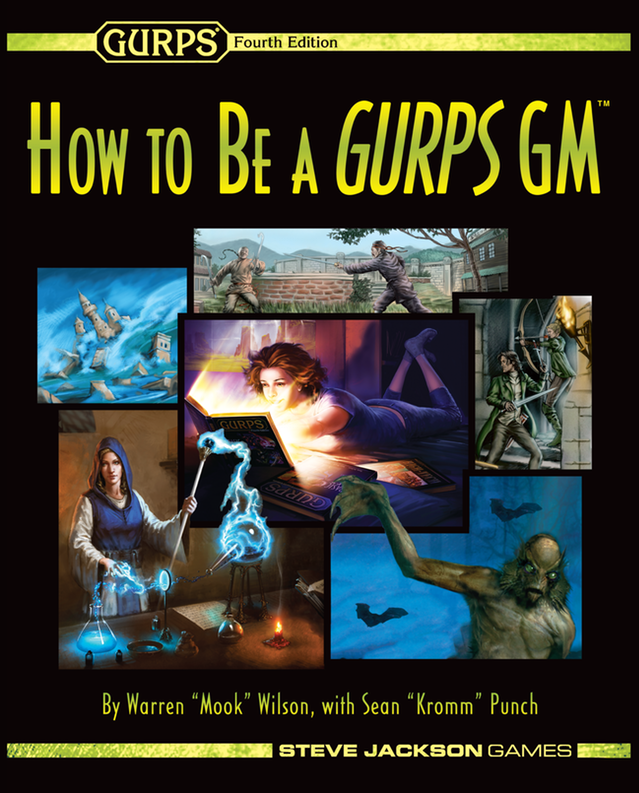 GURPS is an amazingly modifiable system, but knowing what modifications have worked for an actual campaign with real people is very useful. I’m going to give this a try with my next GURPS game. Interesting read. I was thinking of the following: play FATE, but substitute the skills for GURPS. There’s a few technicalities that need adressing, like do you allow advantages/disadvantages (better represented through aspects), and is +2/-2 or re-roll not powerfull enough or too powerful with the fate 3d6 system. I think the rest would fit in perfectly. Reasoning behind it: the thing I miss most from FATE are the aspects. They are so useful for making stories, and also to roleplay your character the way he was meant to be. So just adding in Fate Points wouldn’t be enough for me for a crossover. I would think +2/-2 should be plenty big for Fate – even a +1 on the Fate scale is pretty decent! Hello blogger i see you don’t earn on your site. My grandmother wanted me to have an education, so kept me out of school.